The LM-30-3S-HALPRM-4X400W-MH Hazardous Location Metal Halide Light Tower from Larson Electronics is a 30 foot extendable light tower equipped with four C1D2 metal halide light fixtures producing approximately 36,000 lumens each. This tower illuminates approximately 2 acres, and includes a rotating base to allow the unit to be easily aimed in any direction regardless of mounting position. Larson Electronics’ LM-30-3S-HALPRM-4X400W-MH telescoping steel light tower allows operators to quickly and safely deploy 1,600 watts of metal halide lighting in locations where elevated illumination is needed for maximum area coverage. 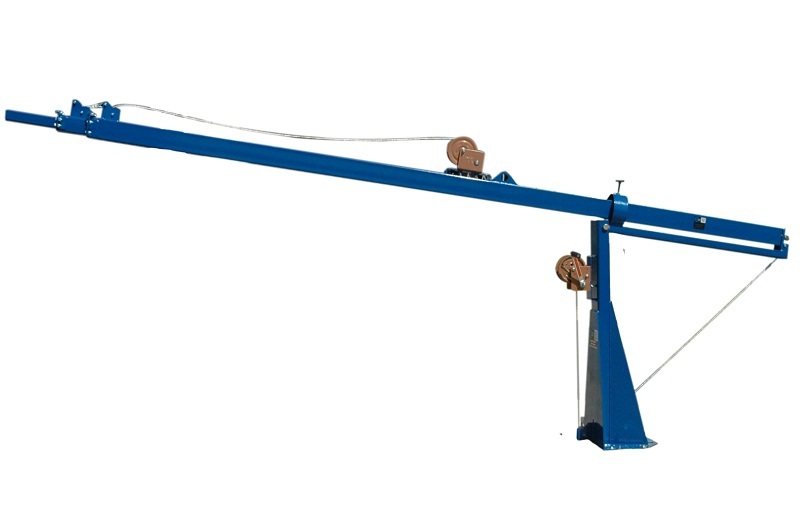 This three section light boom can be extended to 30 feet for maximum area coverage and collapsed to 12 feet and folded over for transport or when not in use. The tower is constructed of square steel tubing with three sections of 12 feet, 11 feet and 10 feet. 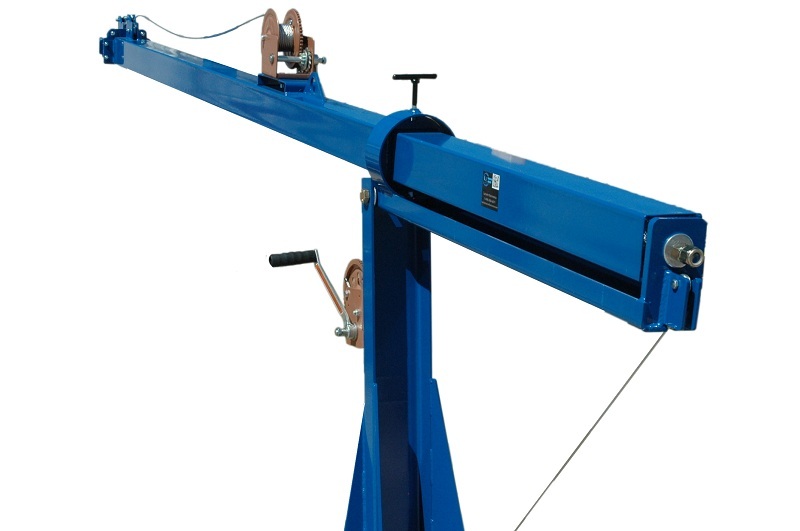 The mast is elevated from the fold down position using an included 1,000 lb hand winch with 3/16 inch aircraft cable, and extended to its full height using a second 1,000 lbs winch. A rotating mounting platform allows operators to rotate the entire tower on its base, providing an easy means of directing the lights regardless of tower location. Included with this light tower are four of our Class 1 Division 2 rated HAL-PRM-400W-MH metal halide fixtures producing a combined total of approximately 144,000 lumens at 1,600 watts. These lamps are weatherproof and suitable for use in outdoor marine applications, making it an ideal lighting solution for industrial applications, boat docks, building exteriors and outdoor work areas. The lamp housing is weatherproof and constructed of die cast aluminum featuring a hinged, removable front-access door with two captive closure screws for easy servicing. The optical assembly includes a precision-formed aluminum reflector and heat/impact-resistant tempered flat door glass. These floodlights produce a wide flood light pattern capable of illuminating approximately 2 acres. Each floodlight is securely fastened to the light boom and each lamp includes a support bracket to help maintain lamp stability within its housing. 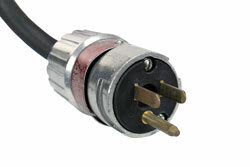 The lamps are connected to the power source via a water tight male pin connector that attaches to a receptacle located on the end of the telescoping boom. 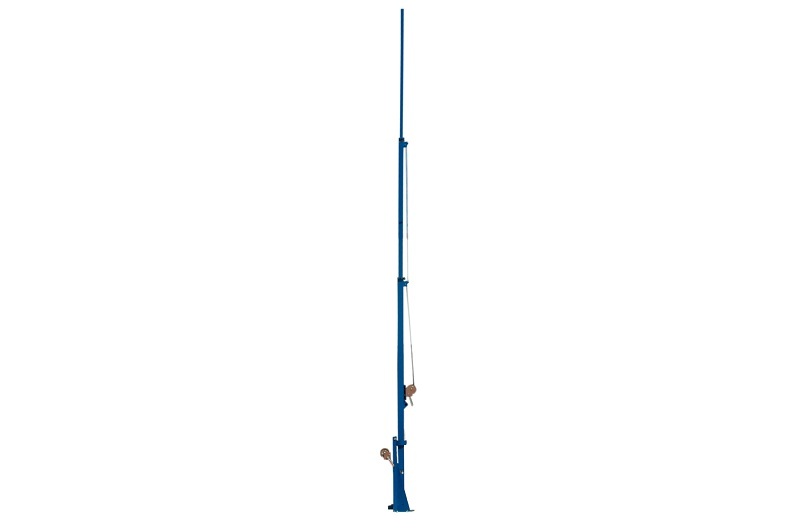 The LM series of towers are powder coated with glossy blue finish for corrosion resistances and aesthetics. 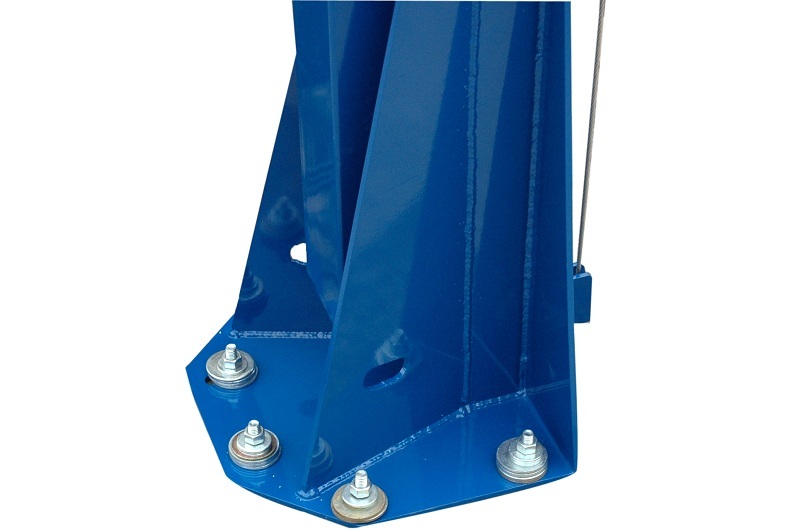 These light masts are typically mounted to trailers or other stable surfaces via a 15" by 13" by 1/4" thick mounting base-plate which has been drilled to accept six 9/16" anchor bolts. A 44" wide and 2" by 2" by 1/4" thick mounting plate is attached to the upper section of the mast which provides a strong and stable platform for the four equipped metal halide light fixtures. 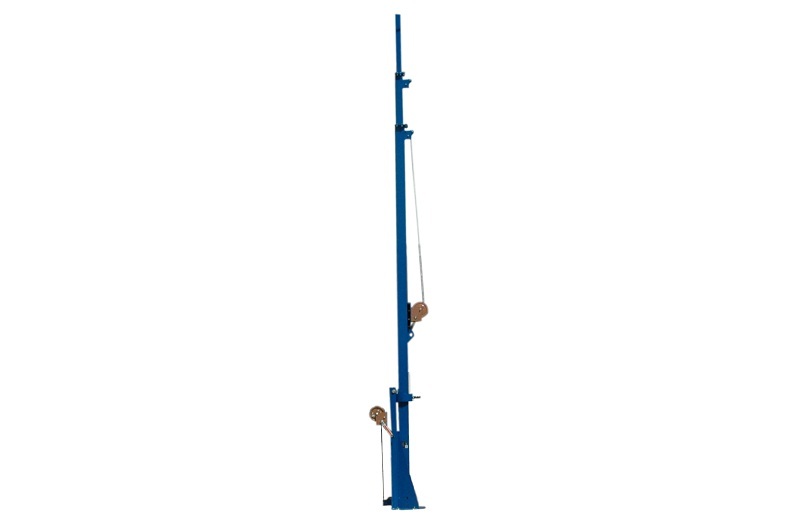 The LM family of telescoping towers feature a proprietary mast guidance system, which provides increased stability during high winds. When lowered to 14`, the mast can withstand winds up to 125 mph. When elevated to its full upright position, the mast can be rotated a full 360°. 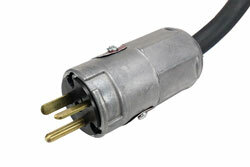 By loosening the T-Handle, operators can rotate the mast with ease in either direction. 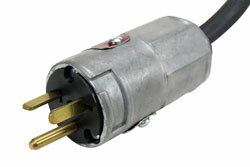 The mast can be positioned in one of four different directions, and locked back in place by re-tightening the T-handle. The mast itself spins freely, and can typically be rotated with a single hand. 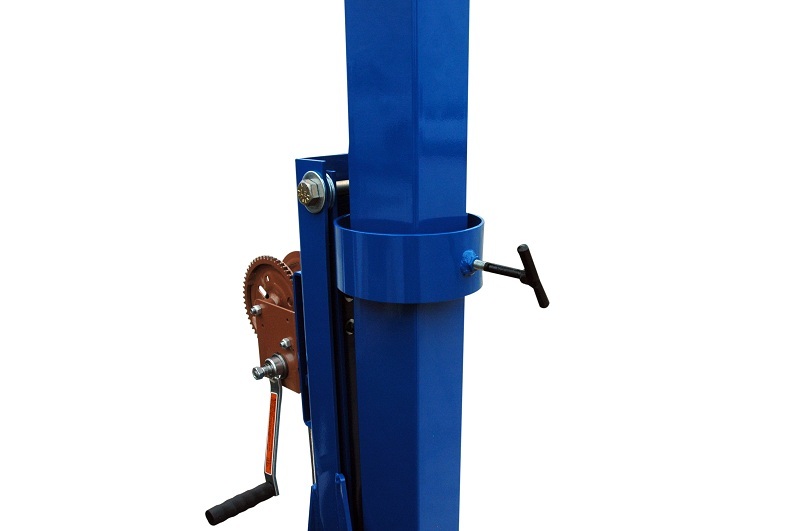 This light tower weighs approximately 375 lbs and can easily support and lift 150 lbs fixtures. 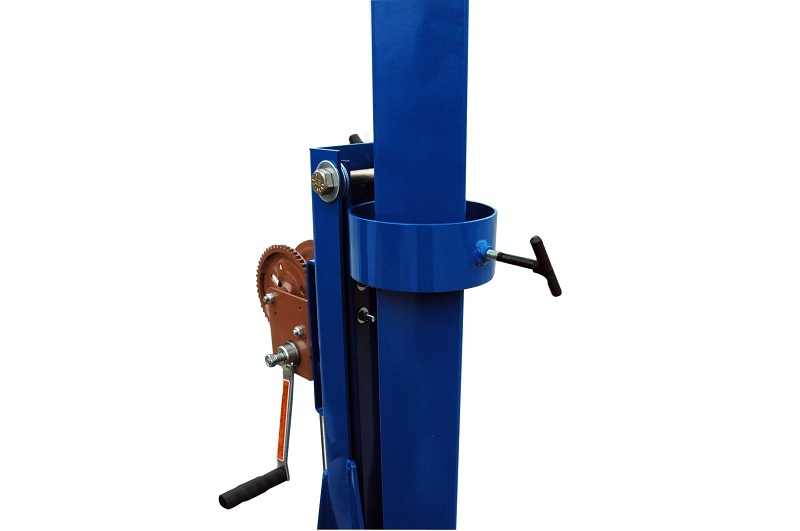 The entire tower assembly is shipped via common freight carrier and when shipped measures approximately 16.5` long, 4` wide, 5` tall and weighs approximately 1,200 lbs. Larson Electronics can custom tailor these units to the customer’s requirements with longer sections and larger mounting plates. 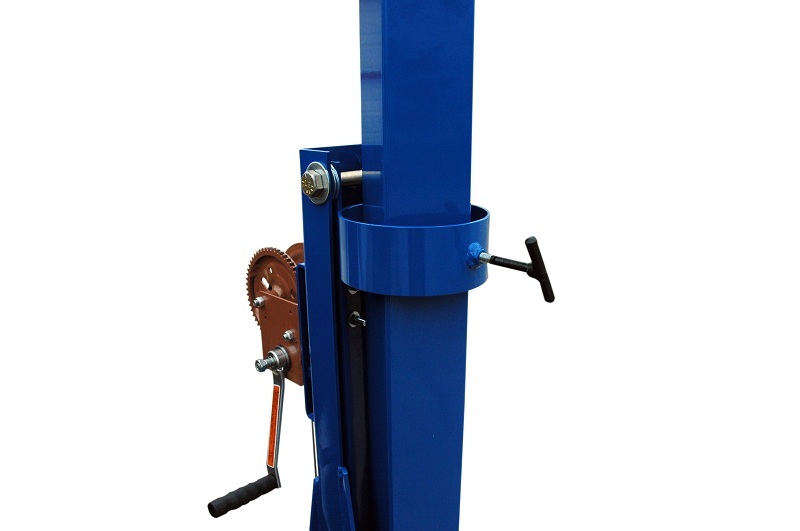 We also offer a choice of either the manual 1,000 lbs hand winches included standard or optional electric winches.